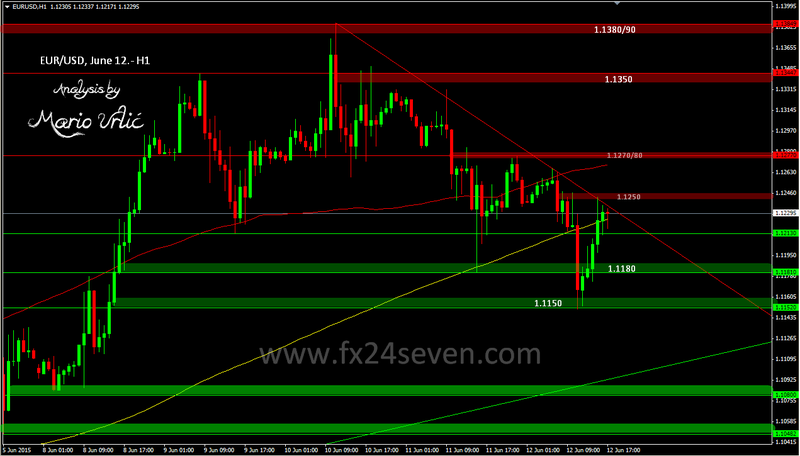 EUR/USD, 'Grexit' on the table, the euro celebrates! Frau Merkel try to brake the euro today, but the european curency wan’t give up and it celebrates possible Greece exit from the EU!? 1.1150 stoped the fall today, (H4/MA200) and the pair rebounded stongly up, reached 1.1240 high for now, but it seams that this is not all we could see today. Down trendline is holding, but who know for how long, euro want’s higher levels. Let’s follow an interesting end of this week and see how will this ‘cirkus’ ended!? 🙂 I wrote about this possible development at EUR/USD if the pair fall bellow 1.1180, check my previous analysis. Technical works always, that is all that matters. Love it!